Privacy curtains, stacking, and bunk beds give your kids a feeling of freedom with these helpful tips. 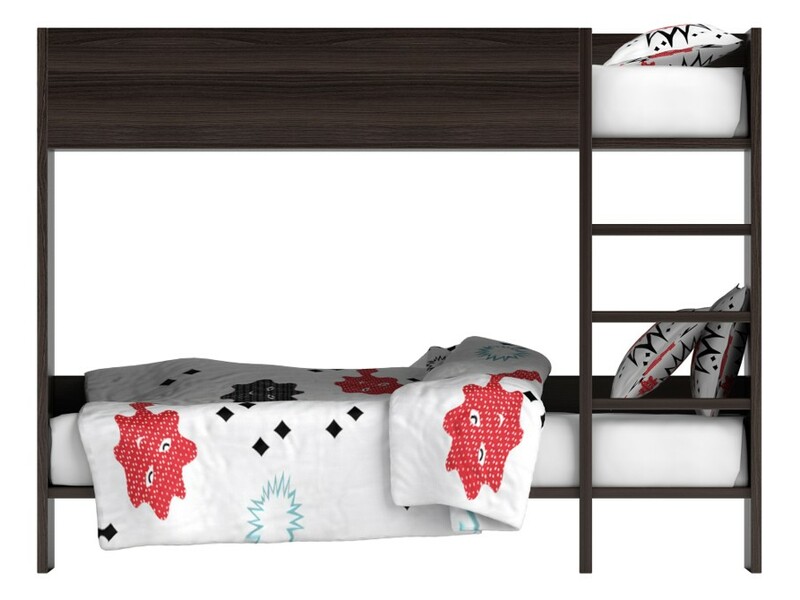 Bunk beds save valuable floor space, and kids love to sleep up in the air, where they feel like they’re the king or queen of the world. But there are some downsides to this commonly used sleep design. These creative ideas can make living on top of the world even better. While the top occupant won’t be able to have a traditional nightstand, there are several creative ways to give both kids a place for their nighttime essentials. - Use a reclaimed wooden plank to create a shelf that runs the entire length of the top bunk. If you mount the shelf on hinges, it can be folded down to the wall when not in use. - A tall repurposed locker can help in more ways than one. Bolt it to the wall beside the beds so that the lower occupant can use the inside to store his or her goodies, and the upper child gets the top as a nightstand. - Get a caddy that can be held down by the mattress. This gives the top bunker a place to tuck a cell phone, books, water bottle, and TV remote. - If the head of the bed is against a wall and you’ve got a gap between studs, you can cut out the drywall and install your own built-in shelving. This makes the ideal cozy nook for the occupant’s necessities, including a surface for a reading lamp. - Use a bed tray as a flat surface for your child to draw, write, or have a snack. One with foldable legs permits them to close it up and slip it into the gap between their mattress and the railing when not in use. - Salvage a wine crate and mount it to the wall beside the top bunk. This allows them a “shelf” as well as a top surface to place things. Using one for the bottom as well saves on floor space. Better yet, let your child paint the crates in their own color and design choices, adding a personal flair to their new nightstand. A pair of sconces mounted at the head of the top bed adds a unique, fun touch and gives the upper occupant proper light for reading. These are available in bright colors like balloons, feminine shapes like butterflies and flowers, and even cutouts like moons and stars and cool patterns for a boys’ room. A clip-on lamp is another easy source of reading light. To further encourage that love for reaching, consider a magazine holder that hangs flush to the wall and can be used for comic books; drawing pads; pencils, pens, and markers; or devices like a tablet or cell phone. Even the youngest of tots have their own electronic devices these days, and they frequently need charging up. You may not want extension cords running all over the place to service the top bunk’s charging needs, particularly if young children sleep in the room. A USB battery pack makes the perfect solution – it can be recharged during the day, and during the night your child can charge their devices without any cords hanging down from the bed. Anker brand is the best rated. Making beds isn’t exactly a favorite chore in any house, but when you’ve got bunk beds it becomes a nearly impossible task. There are a few things you can do to make this unpleasant necessity a little easier. - Go with simple bedding. Kids are notorious rebels of flat sheet usage – make it easy on yourself and leave these off. A comforter either alone or inside a duvet is warm and easy to pull up over the mattress when morning comes. 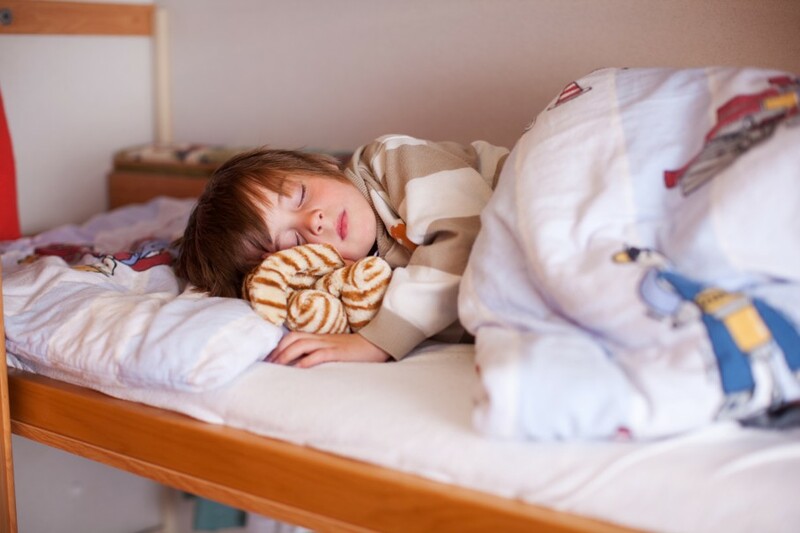 For warmer nights, a cotton blanket is heavy enough to stay put through all the kicking your child can dish out but light enough for spring and summer. - Use sheet clips. Having to put the corners on after the sheets are washed is enough work. You don’t need to be putting them back on every morning after your little nighttime kickboxer gets done ripping them off. Sheet clips hook to the corners underneath the mattress to hold everything in place. 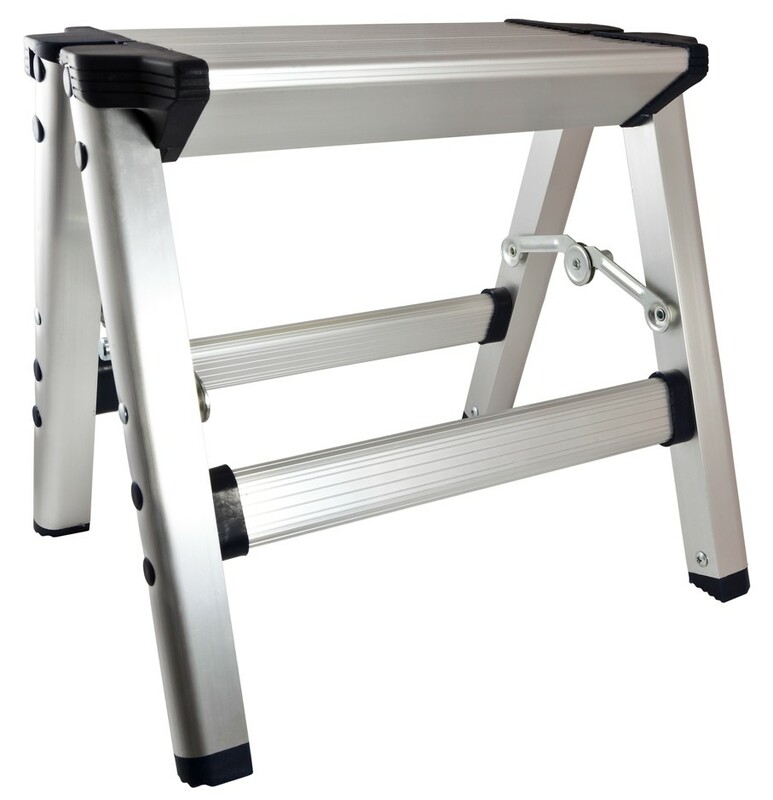 - Keep a step stool in the bedroom. Putting the sheets on while you’re on the bed is an exercise in frustration – a stool will be your lifesaver. It can be hard for kids to give up their privacy when sharing a room, and having someone else climbing up and down right in front of their personal space can make even the most loving of siblings lose it with each other. Hang a pretty curtain across the long side between the top and lower bunk to offer the lower occupant a measure of privacy. Or, to create a whole enclosed fort for both parties, hang it from the ceiling. 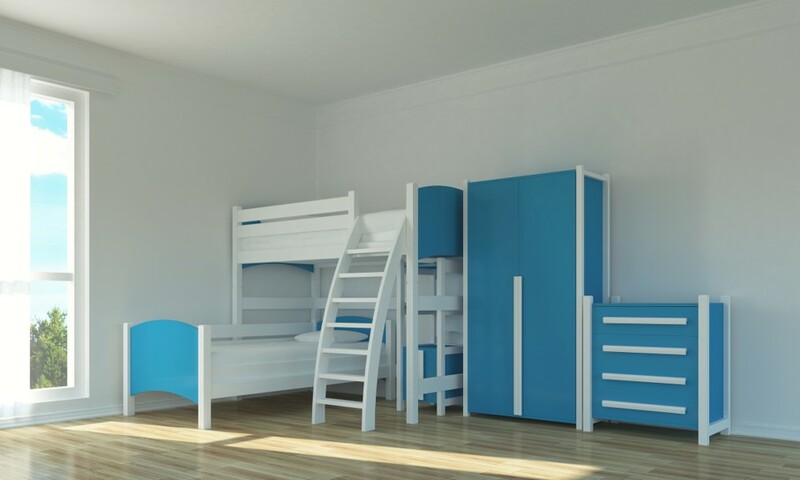 Turning bunk beds into fun for all doesn’t have to take a lot of money or work. With a few simple solutions, your kids will be loving their customized, functional sleeping area.